If your business applies discounts frequently, it is better to list the discount on the bottom on the invoicing form. 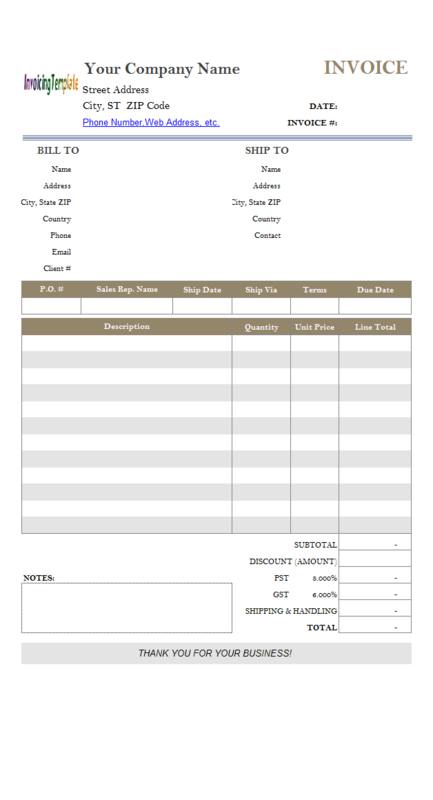 This customized simple invoice template demonstrates the steps required to add a Discount (Amount) field. 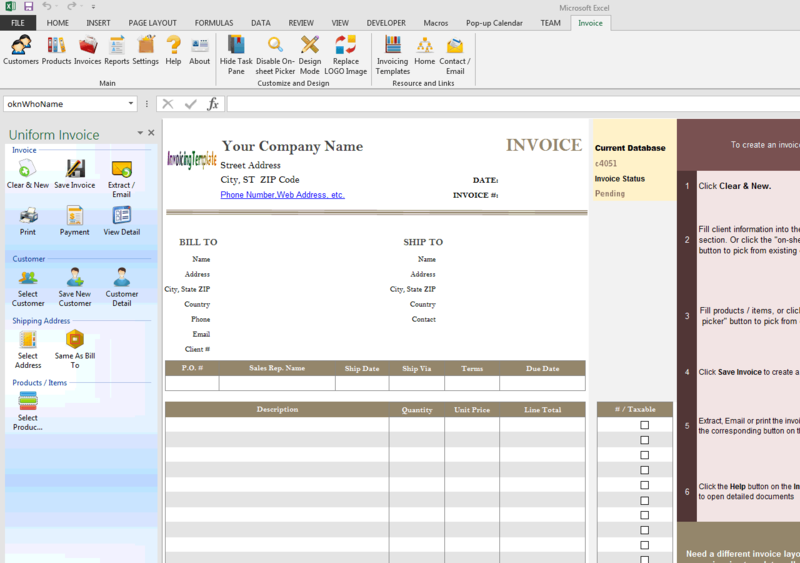 c4051 now includes the customized invoice template for the latest version of Invoice Manager for Excel. 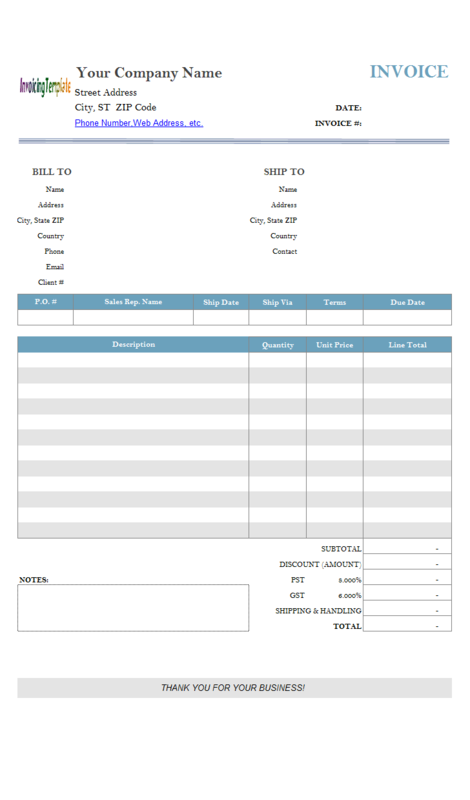 This is what you will see when you open simple-invoice-template-discount-amount.xlsx. 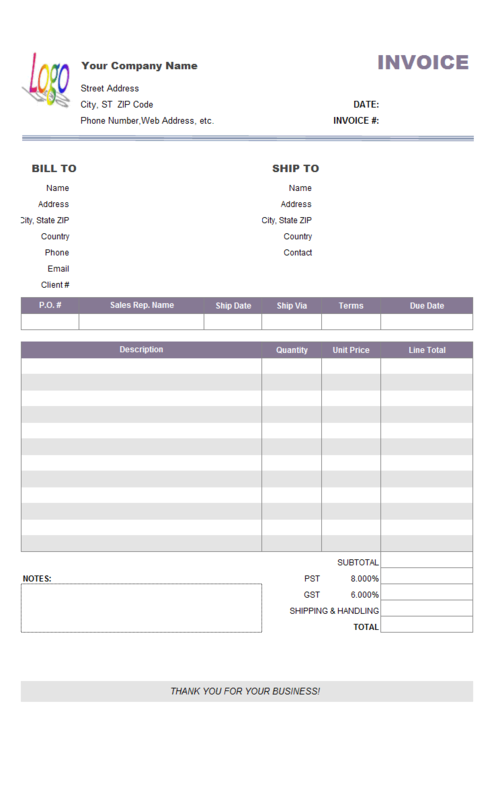 The result of this customization is a simple invoice template that have a discount amount field on the bottom of the invoice form, which could be downloaded for free here on InvoicingTemplate.com. Discount could be implemented as an amount field, or as a percentage field. 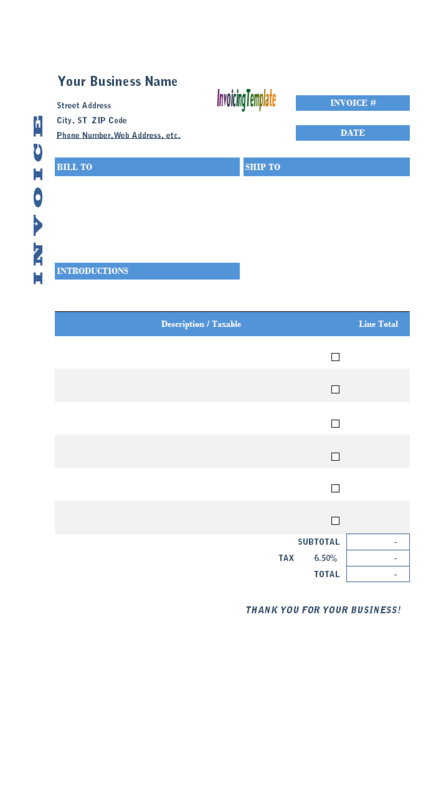 In this sample, we'll define it as an amount value on the bottom of the template. 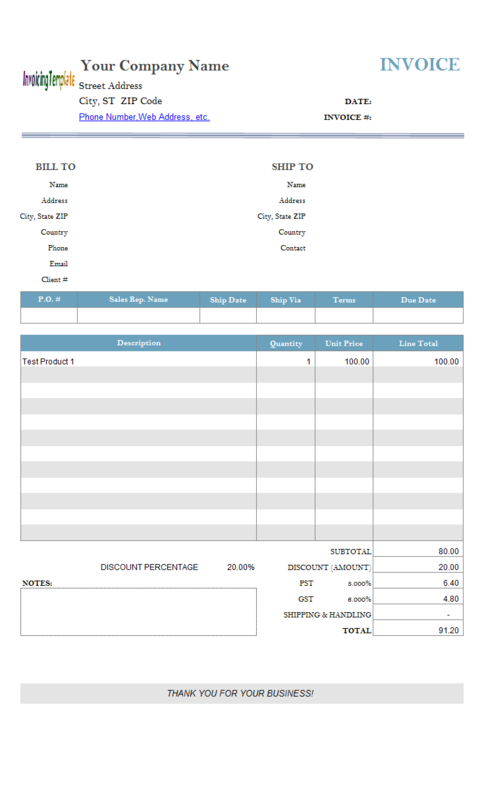 There are two part of work involved to add the discount amount field - customizing the invoice template, and customizing the database. Before begin, first make sure you have backed up both the Excel template file and the Access database file (Or the SQL Server database - in case you are running Invoice Manager for Excel (namely Uniform Invoice Software) enterprise edition and using SQL Server database). To do this, simple close Excel (and all the other apps and programs that could use the billing template and database), copy the files to make a backup. Compared to online web-based billing solutions (even those open source solutions), one of the advantages of a template (including those based on Google Docs) is easy-customizing. Here are the steps on customizing the simple invoice template. This sample is based on c4049 Simple Invoice Template - Moving Item# Column. Backup your template (If you have not done so yet). 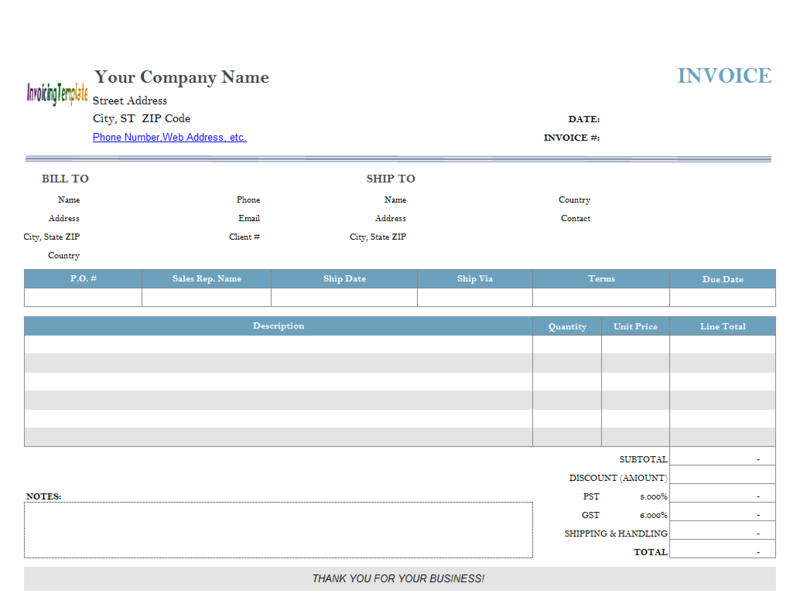 Click the Design Mode button on the "Invoice" ribbon tab to push the button down. In design mode, Invoice Manager for Excel (namely Uniform Invoice Software) will not response to your clicks on buttons. In design mode, it also shows the gridlines and row/column headings of your Excel worksheet. Right-click the row heading of the first tax row on the bottom of the invoicing form. This is sample, it is R35. Choose Insert from the short-cut menu. This inserts a new row above the first tax row. Enter "DISCOUNT (AMOUNT)" underneath the "SUBTOTAL" label, i.e. $J$35. Click to select the cell where the discount amount value should be entered. In this sample, you click $K$35. Enter the cell name "oknDiscountAmount" into the name box on the formula bar. All cells names that work with Invoice Manager for Excel (namely Uniform Invoice Software) should start with the "okn" prefix, except "Print_Area" and "Print_Titltes". Right-click the cell named "oknDiscountAmount" cell at $K$35, choose Format Cells from the shortcut menu. On the Format Cells dialog box, go to the "Protection" page, clear the "Locked" property. Click "OK" to close the dialog box. By clearing the "Locked" property, the discount amount field will be manually fillable / edition when you are creating an invoice. Click to select the cell next to the label "SUBTOTAL", i.e. the cell named "oknSubtotal" at $K$34. Modify its formula to be "=SUM(oknLineTotal_1:oknLineTotal_12) - oknDiscountAmount". To deduct the discount amount from taxable amount, modify the first tax formula (cell address $K$36 to be "=ROUND(IF(oknTaxType=0,0, oknTax1Rate*(oknLineTotalTaxable - oknDiscountAmount+IF(oknTaxTotalIncludingShippingCost=0,0,oknShippingCost))),2)"; modify the second tax formula (cell address $K$37 to be "=ROUND(IF(oknTaxType<>2,0,oknTax2Rate*(oknLineTotalTaxable - oknDiscountAmount+IF(oknTaxTotalIncludingShippingCost=0,0,oknShippingCost)+IF(oknTax2IsAppliedToTax1=0,0,oknTax1))),2)". Click "Design Mode" button on the "Invoice ribbon tab again to exit design mode. Save the template by clicking the Save command on Excel quick access toolbar. The steps required to customize the database are detailed below. 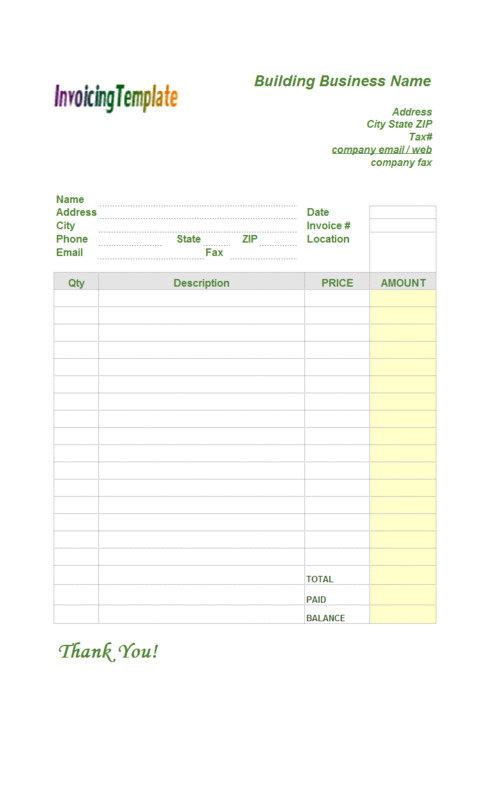 Click "Invoices" on the "Invoice" ribbon tab. 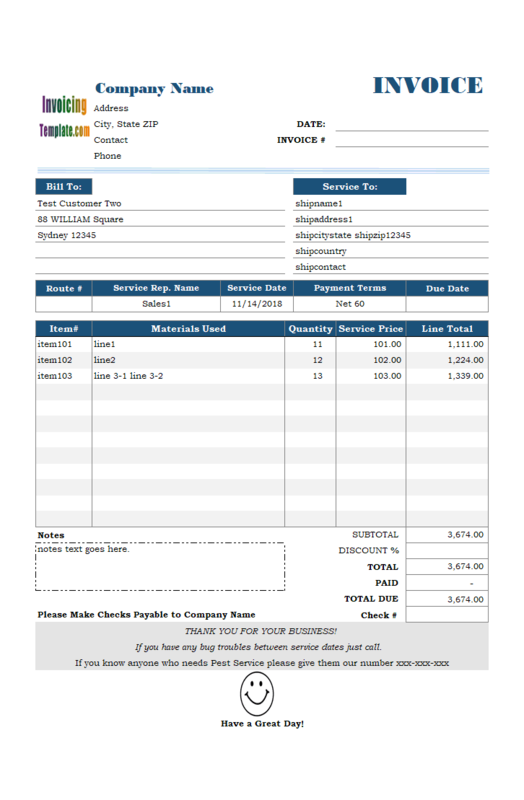 Make sure the "Database Table" field shows "Invoice Header". Click "Add Field". Enter "DiscountAmount" as "Field Name". The field name should match the cell name defined on the invoicing template. In this example, we defined cell name "oknDiscountAmount"; and thus the field name should be "DiscountAmount". It is this name that creates the relationship between an Excel cell and a database field. In other words, the name maps the cell name to a database field. Choose "Decimal" from the "Field Type" drop down list, enter "10" as "Precision", and enter "2" as "Scale". The "Precision" and "Scale" field determine how many digits, in total or after the decimal pointer, could be stored by the field. The default value of a decimal value will be zero if not defined here. Click "OK" to close the "Add New Custom Field" dialog box; Click "Close" to close the "Custom Field Manager" dialog box. That it! 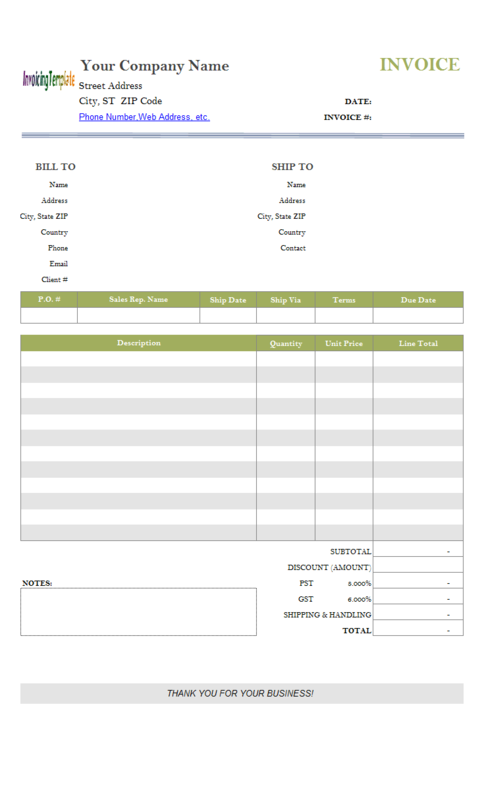 Now you have a simple invoice template that have a Discount Amount field on the bottom of the invoicing form. Feel free to download and test it to see if it meets your business requirements. Like other form designs here on InvoicingTemplate.com, Simple Invoicing Template - Adding Discount Amount Field is free (offered to you at a price of 0.00USD). It works on Windows XP and all newer versions of Windows, and Excel 2007, 2010, 2013 or 2016.